A splendid chocolate-mint flavor on this trailing mint. What a perfect after dinner tea. Z-4 Perennial. 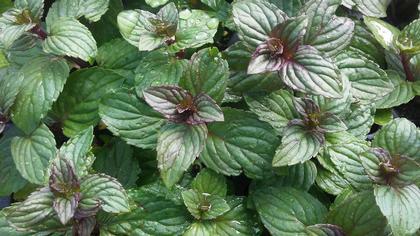 Mentha x piperita 'After Eight'.